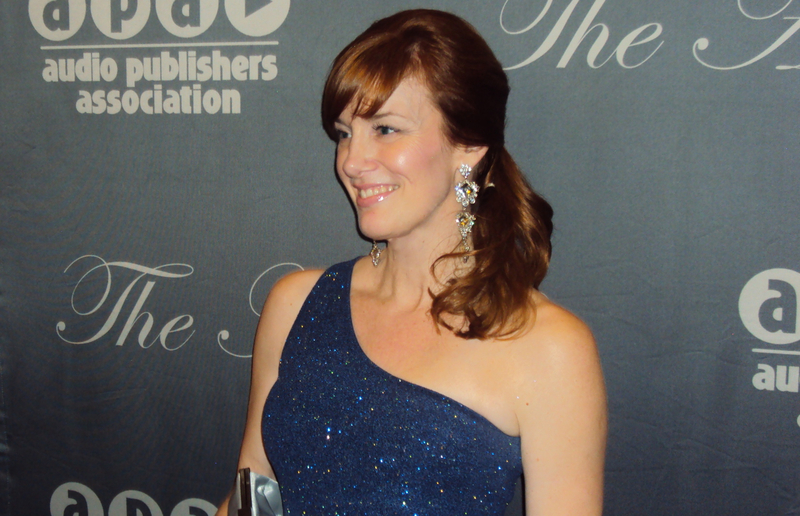 The 2014 Audie Awards with Ender’s Game Alive! What an incredible joy it was to be a finalist with the cast of Ender’s Game Alive for the 2014 Audie Awards! We were nominated in 3 categories for Multi-voice; Original Work and Distinguished Achievement in Production. This has literally been a dream come true and nothing short of wonderful to have had the opportunity to play Valentine and to have worked on this very special audiobook. I have loved every moment. Heartfelt thanks to Orson Scott Card for writing such an awesome script; to our brilliant director, Gabrielle de Cuir; our amazing producer, Stefan Rudnicki of Skyboat Media; and to our wonderful publisher, Audible.com, for generously inviting our entire cast to attend the Audies as their guest. Toguro!! This entry was posted in Audio Books, Narration, News, Voice and tagged 2014 Audie Awards, APA, APAC, audible.com, Audies, Audio Publishing Association, Ender's Game Alive, skyboat media, Stefan Rudnicki, Susan Hanfield Narrator, Susan Hanfield; Ender's Game; Ender's Game Alive; Orson Scott Card; Gabrielle de Cuir; Skyboat Media; Audible.com; 2014 Audie Awards. Bookmark the permalink.